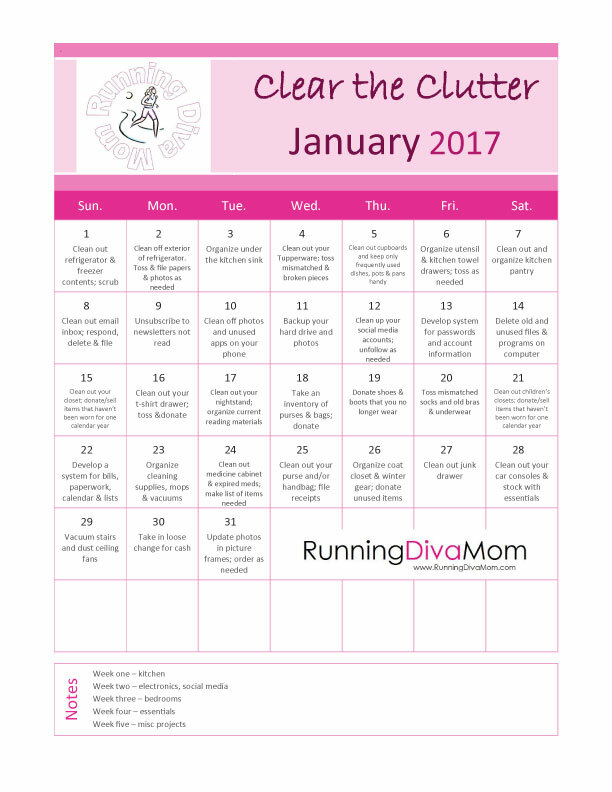 2016 was a crazy year - and a crazy good year for me at Running Diva Mom. 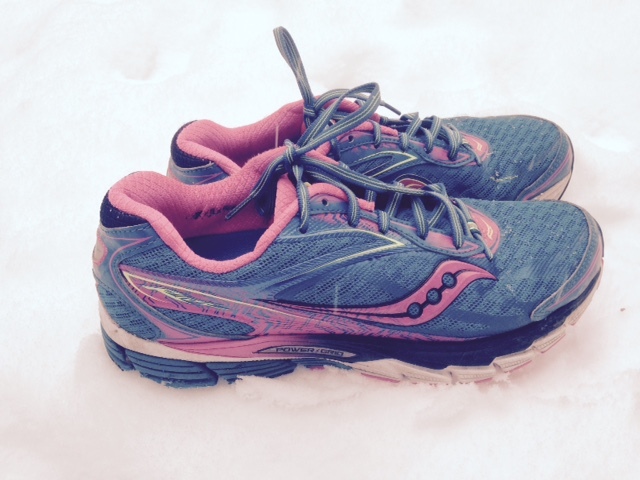 I returned to running on January 10 at just 2 1/2 weeks post-partum. I didn't really have any personal goals for myself or my running. I just wanted to get the baby weight off and get that high back from running long distances. I spent my final twelve weeks of maternity leave increasing my mileage on our treadmill at home with Baby Diva alongside me. I pumped exclusively for 10 1/2 months. Baby Diva was having trouble latching. This also became the best scheduling option for our family since I was constantly coming and going with work, my business and Little Diva and Little Dude's activities. So, I juggled 6-8 pumping sessions a day with working as an office manager half-time, growing my coaching business - typically coaching 5-12 times per week, transporting the kids to school and activities - and then there was my own training, too. As soon as the weather warmed up, we invested in a nice B.O.B jogging stroller and she joined me for most of my runs and even several of my running groups. She really enjoyed taking in the scenery and the movement of the stroller; often getting most of her morning naps in on-the-move. I started running in 2005 and this was by far my highest mileage year - by several hundred miles. I finished the year with 1,429.9 miles. In past years, there were very few months in eleven years where I reached close to 150 miles in a single month - this year there were five months with substantial base. 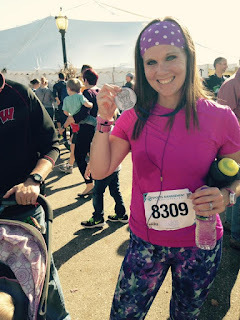 I finished six half marathons, two full marathons; including one weekend of back-to-back half and full marathons. I lead many, many couch to 5K groups, two 10K groups, a half marathon class, stroller classes and a introductory class for children and pre-teen girls. 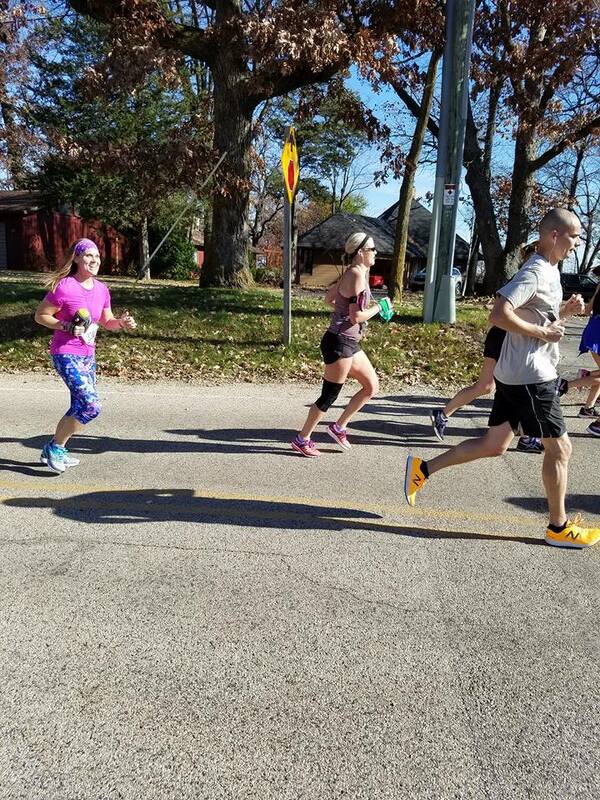 I helped clients locally and across the country complete 5Ks, 10Ks, half marathons and full marathons through virtual coaching and personal training sessions. I also started virtual accountability groups for running accountability, challenges and weightloss. 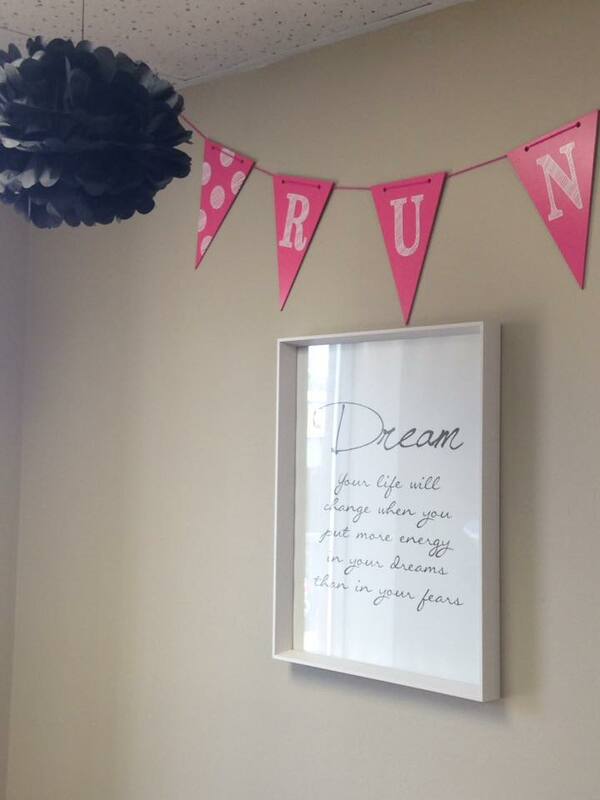 In November, I opened the doors to a small running studio, to help hold my clients accountable throughout the year. My knowledge and words were printed in Runners's World Magazine. I started doing freelance articles and blogging for a local organization. I became more consistent with my own blogging again and enjoyed getting my thoughts and words documented. I ended the year much lighter than I started it - in fact much lighter than I started the year before, too. With 38 pounds gone, I am very close to my goal of losing 45 pounds total. I'm not sure how I'm ever going to top 2016 and all that I managed to accomplish, see and do. But, I'm certainly going to try. He is half-way to adulthood. My middle child turns nine today. I can hardly believe it. Little Dude is nine. Where has the time gone? When I started writing my blog, he was barely one. And here he is half-way to adulthood. He is so bright in school and life and is a gifted learner. Many things come easy to him. He loves math and science; building things and is more curious than anyone else I know. His mind works so differently than mine. He can figure out a Rubix cube in minutes and understands how my phone works better than I do. He enjoys performing science experiments at home and making his own Lego creations. He breaks things so that he can “fix” them and reassemble the pieces. He reads manuals step-by-step and if he misses a part of the process, he will start over so that is done correctly. He loves to test limits – but he is truly a rule follower. Even though he is a growing boy, he loves to be a part of my day and loves my attention and affection. Sometimes I am reminded that he is that “middle child” and should not get lost in the family’s birth order. I try to give him my attention and carve out special time with him – because he needs it and craves it. He pretends to be tough, but loves to have sleepovers with his big sister on the weekends and loves starting our day together over “coffee”. He’s my early riser and was always my easy sleeper. I enjoy learning from him and how his mind works. My interests are different from his. Because of this, it is fun to step outside of my comfort-zone with him and try new things together. I hope that he never stops being curious and can one day learn to redirect all of his energy into a more formal outlet. He is going to do amazing things someday. All of that energy and determination that he harnesses will someday provide him with the initiative to succeed in life. Happy ninth birthday, my Little Dude. We've been loving her for one year. One year ago, Baby Diva entered our world – two days before Christmas. We brought her home on Christmas morning. We have been loving her for one year today. At one point I didn’t think that my love could multiply again – but it has. She has been one amazing blessing. I didn’t know how I would “start over” again with a tiny infant. But we simply adjusted our routines and made new ones. Being a mom of one was busy; being a mom of two was a struggle; but being a mom of three has been amazing chaos - and joy. My days are completely full (like my heart …) and require a lot of planning. With the kids being so many different age groups, their needs are so different. But we have made it work. And, she has just gone-with-the-flow. The easiest baby ever. She loves joining me on coaching and running adventures. I finished a marathon and ran 1,000 miles while she was in my tummy. Running has just been a part of her daily routine - by my side or in the jogging stroller. I started running again at 2.5 weeks post-partum and she has joined me for most of my miles this year. She is my co-pilot during errands and extra-curricular activities, and she is a gentle playmate to our rescue dog. She’s always been a very good sleeper. I think it is because she knows that we all need time to rest from our busy day; as does she. She just fits in …. and she makes our family complete. From the moment we brought her home, her daddy always told her “You are so brave.”. At first I laughed, but it really is true. She is so curious and loves to learn and be a part of our lives and routine. She is rarely fearful of new adventures and has already observed and experienced so much. And we love having her along for the journey. 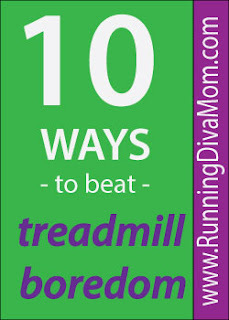 Do you feel like you are bored out-of-your-mind while you are running in place on the treadmill? Well, you certainly aren’t alone. Running in place can make any run seem longer and staring at the display screen can make the time move slow. If you are missing running on your favorite trail, try using these ten tips to make your indoor run a little more fun. 1. Intervals. 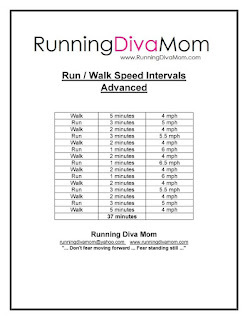 Instead of running at a consistent pace for your traditional thirty minutes. 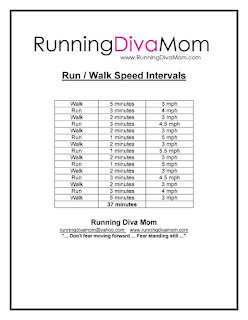 Try running run/walk intervals. 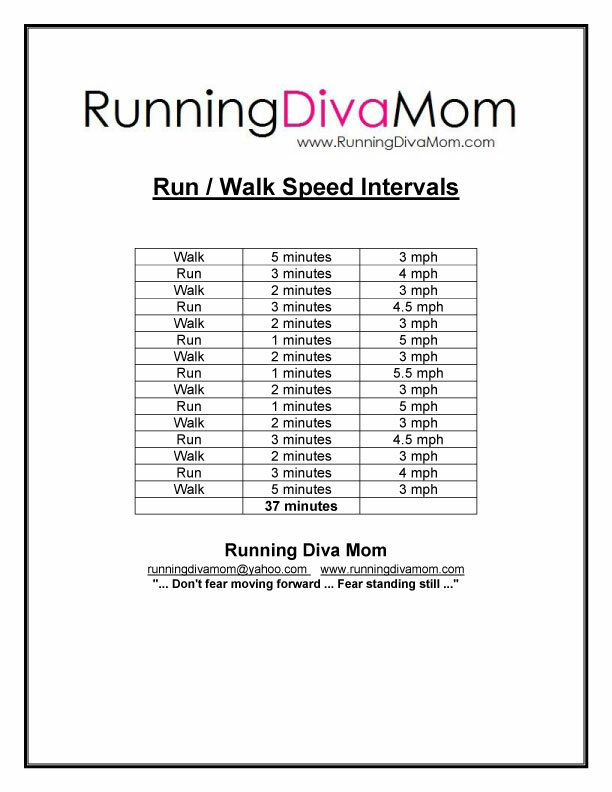 Use these treadmill interval workouts to mix walking in with your running. 2. Update your playlist. If you love running with your headphones in, treat yourself to three or four new songs each month. A few new songs is a minimal investment, but an upbeat tempo or motivating lyrics can make the extra mile that much faster. 3. Take a break. If you are struggling to fit in other cardio, agility or core work, mix it into your running routine – instead of before or after. Run for ten minutes, then do a core workout for ten minutes, then hop on the treadmill for another run, followed by ten minutes of cardio. Your workouts will flow together and the separate workouts will seem less daunting. 4. Location is key. If you are using a treadmill at the gym, find a machine that overlooks an exterior window or a television or positioned in a key location for people-watching. 5. Lighten up. If you are running on a machine in your basement, surround yourself with motivational posters, mirrors and lamps for extra light. Extra light and motivation can go a long way. 6. Speed it up. Interested in claiming a new PR at your next race? 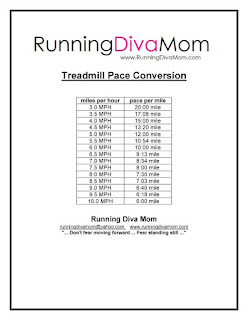 Treadmills offer a great opportunity to work on your speedwork in a controlled environment. Mix faster periods running in with your running routine. Push your limits with these speedwork interval workouts. 7. Change your focus. Adjust how you have always thought about your run. Focus on running a specific distance. Or focus on running for a certain amount of time. 8. The hills are alive. Play with the incline on your treadmill to mimic the natural grade outdoors. You will challenge yourself and work your quads and rear in the process. 9. Race indoors. Try racing the person next to you on the treadmill. They don't even need to know you are doing it. There is nothing wrong with a little friendly competition. Pick someone and see if you can outlast or run faster than them. 10. Let’s motivate each other. Hire a running coach or personal trainer to push you to a higher intensity and make the time go by faster. Contact me to run side-by-side on treadmills. We can work together on building your endurance or speed. 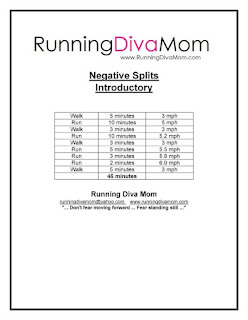 Great conversation and motivating tunes also makes the time go by quicker at the Running Diva Mom Studio. Thirteen years ago. Thirteen year ago my water broke in my mom's vehicle in the Walmart parking lot. Wow - thirteen years ago. It's hard to wrap my mind around that. 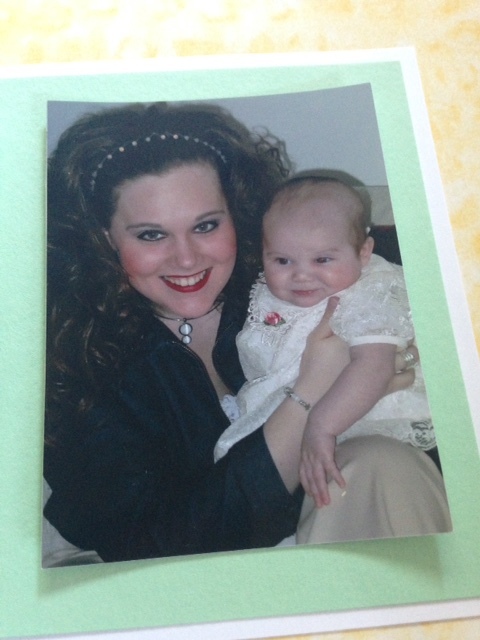 I was twenty-three years old and about to become a mother for the very first time. I always knew that I wanted to be a mom. But I really had no clue what being a mom really meant. 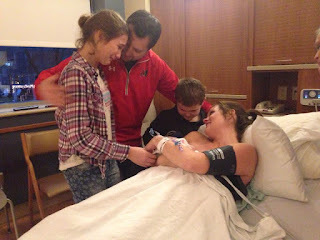 I was about to meet that little squirmy baby that had been moving and hiccuping inside of me for the past nine months. I had all of these cute leopard print outfits to dress her in. But I don't think that I thought much beyond giving birth at the hospital and playing dress-up. Meeting her changed me. We grew together and learned together. We loved one another and struggled together. I learned to make someone else's needs come before mine. But she also taught me how to balance life and make time for myself, too. Busy became a different kind of busy. Nights in became more exciting than nights out. My heart grew and it grew every single day. Being a mom was sometimes intuitive. Being a mom was sometimes hard. But loving her was always easy. She's growing into such a beautiful young woman. Someone that I am proud of. She works very hard. She knows her faults and works on them. She aims to please. When she thinks she's right - she's right. She has found her passion and lives and breathes it. 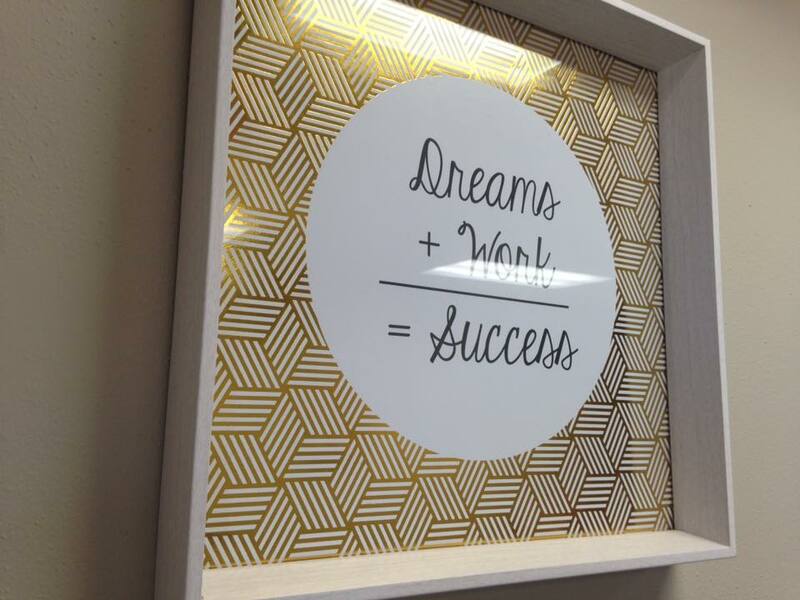 She is a planner and thrives on structure and routine. She really is very much like me when I think about it. Here's to many more years of growing and learning - together. Happy 13th birthday, Baby! 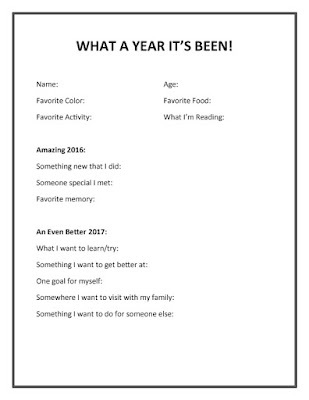 Here is the New Year's Eve printable for 2017. Ever feel like you just need to have something on your schedule to keep your momentum and hold you accountable? I'm officially registered for my first event in 2017! 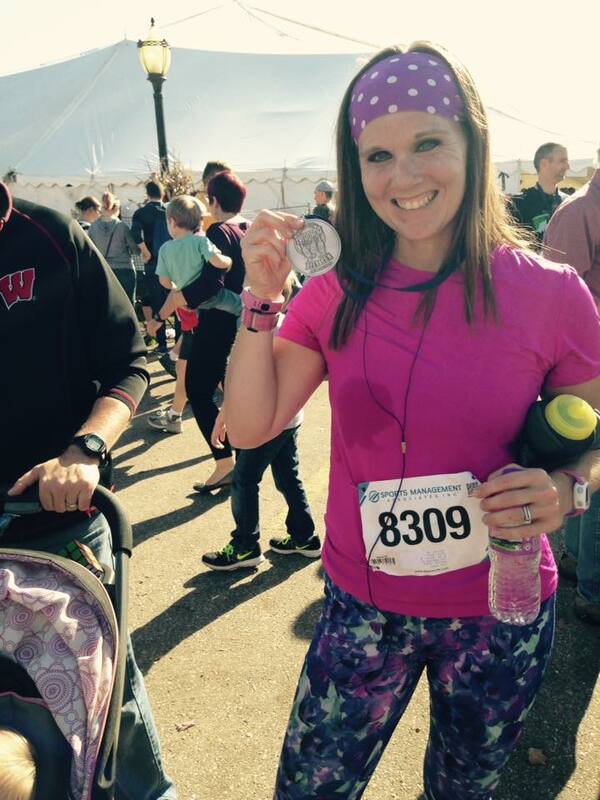 I look forward to running the Milwaukee Running Festival Marathon again next fall. The race was moved up to mid-October next year. I hope that you can join me. 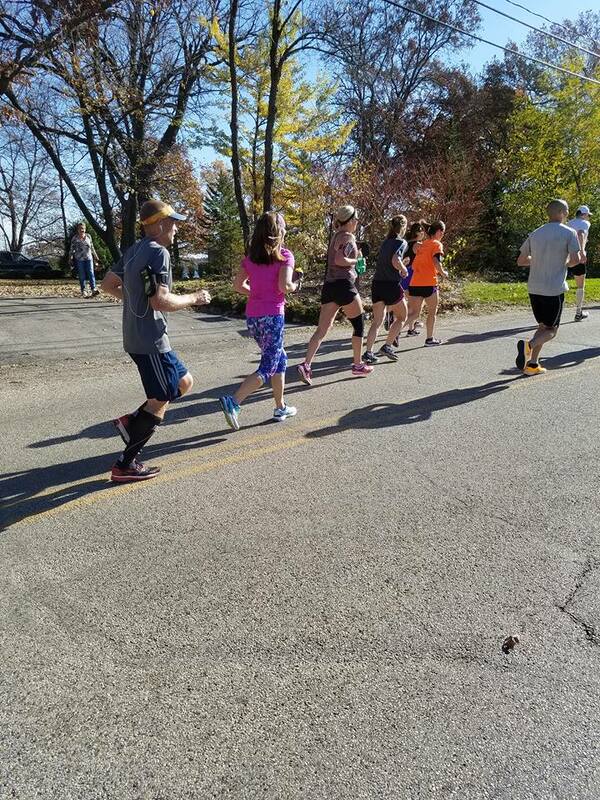 It is my favorite marathon to date. If you are interested, take a moment and read my race report from the 2016 Milwaukee Running Festival Marathon. Oh you know ... that time when you went to the doctor's office for your annual physical - and you were actually EXCITED about stepping on the scale. Yeah, that really happened. I took off my heavy winter coat and boots and was down twenty-six pounds from my postpartum appointment. And down eleven pounds from my pre-pregnancy weight. No cringing or looking-away this morning. This year has been a time of transformation again for me. Every year of adulthood, I have struggled with my weight. Up and down and up and down. I was 39 weeks pregnant and awaiting the arrival of Baby Diva last year at this time. At my postpartum appointment I had started running again, but was still struggling. Coaching and training for all of my own races this year have really motivated me to get rid of the baby weight this year. I'm just trying to decide what's next - to keep me motivated. In the meantime, I'm feeling comfortable in almost everything I wear. I can't express how awesome it feels to put on a pair of pants and feel great in them. I'll never be a twig; I will always have stretchmarks and there are still parts of my body that I need to work on. But I am happy with me. Yup, I said that, too. With a fresh-start approaching in January, many of us are setting New Year's resolutions, filling empty calendars and planning for new opportunities. 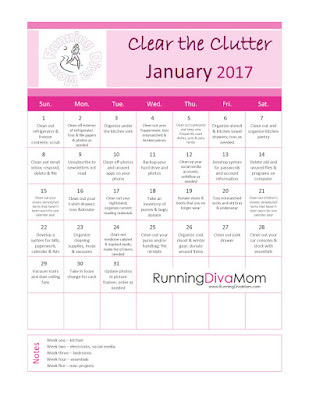 If you would like to simplify your life, organize your home and clear the clutter a bit, try this Clear the Clutter - 31 Day Calendar for January. 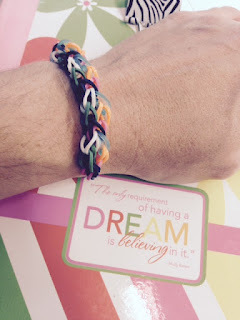 In only thirty-one days you will have thirty-one different projects crossed-off of your to-do list. Things that you've been neglecting, projects you've been avoiding. Week one you will tackle the clutter in the kitchen. Week two you will organize your electronics, computer and social media. Week three you will clean out the bedrooms. Week four you will organize your essentials around the home. Week five you will wrap up with a few other random projects. Here's to starting the year off right, creating some new habits, and clearing the clutter. Wrapping gifts and wrapping up the year. I am done wrapping Christmas and birthday gifts. All three kids have birthdays this next week – phew! 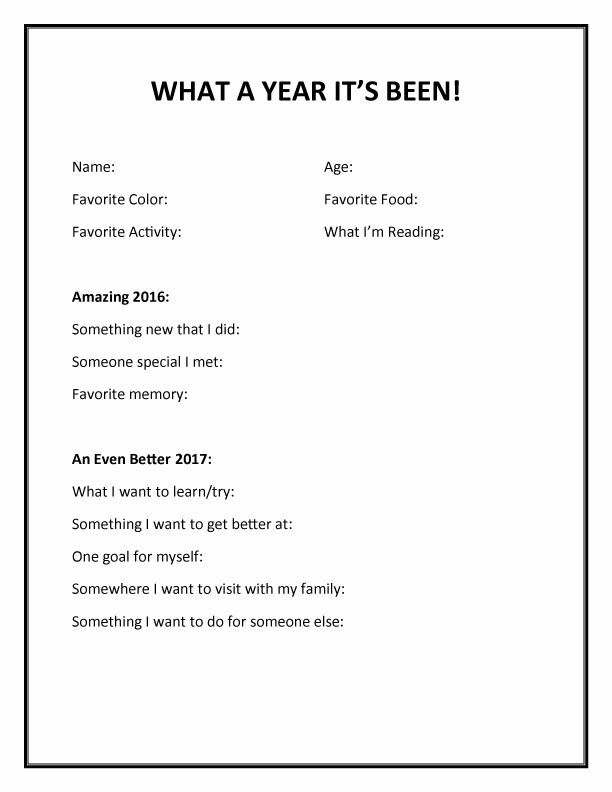 But, I’m also wrapping up the year – and reflecting. As 2016 is coming to a close, I don’t even know how to wrap my head around it. This year has been filled with some of the most intense and scary struggles of my life – and some of the biggest blessings. Some days I felt like we hit rock bottom and could barely get through the day. But 90% of the time, our days were filled with purpose, plans of action, dreams, blessings and most importantly – unconditional love. Love is what gets us through the hard times. Love for ourselves. Love for one another. My life isn’t perfect – far from it. Sometimes I wonder why things happen to me. Why did this happen? How did we get here? Was it to make me learn a lesson? Am I being asked to simply appreciate what was given to me and what I have? Was it to make me slow down? Am I proving to myself that I'm a devoted spouse or a dedicated mother? I often find that the struggle is what makes me truly appreciate the good in each day. Kind of like when I run a marathon …. If miles 22-24 are excruciating, I collect myself and get a second-wind at mile 25. I pace myself and finish the race out strong with a smile on my face. 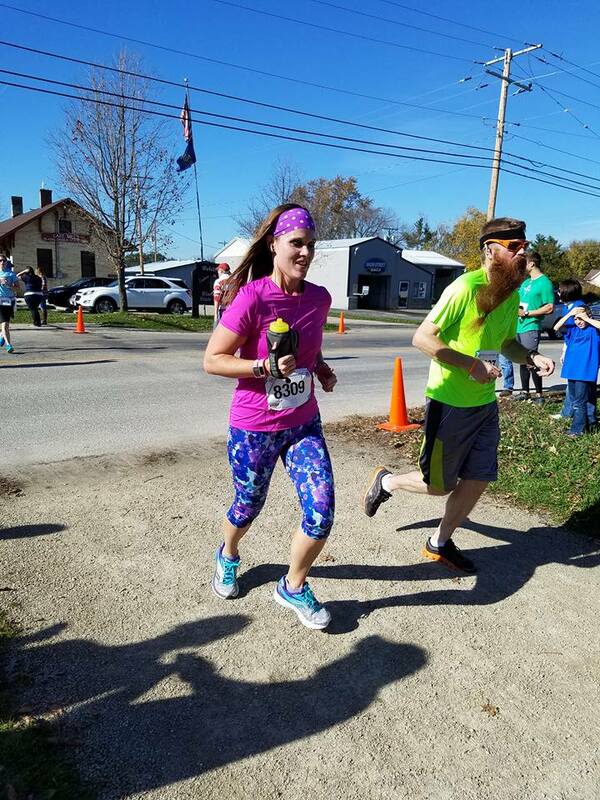 When you’re running a race and struggling, do you turn around and run the other direction or just stand there? No. You move forward. You get through it. That hard stuff is hard. Like, really hard. 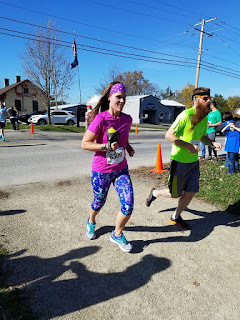 But closing in on the finish line is so rewarding – not just because I ran twenty-six miles … but, I made it through the hard stuff. And I left that stuff behind me. The holidays seem to bring hard times upon us. Often. If you are going through a difficult time right now – I promise it will get better. Sometimes we just need to fall down or trip a little in order to make the race of life a little more humbling. We need to believe in ourselves and make adjustments to what we've been dealt, take one mile and one day at a time and surround ourselves with our support crew. Thank you for being a part of my year this year. Don’t fear moving forward. Fear standing still. 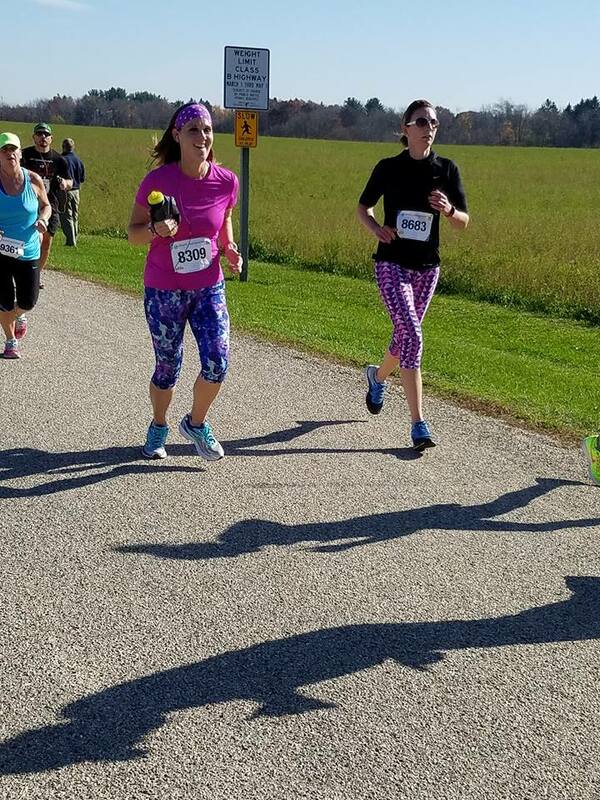 I don’t just like running with other women. I love it. But, it’s not just the running. It's these amazing women. The entire the experience. The transformation. The change in attitude. Sweatpants are shed to reveal strong legs in running tights or better yet - shorts. The new bright technical running gear. The ability to stand out – because with running comes confidence. I was training with one woman for the past month. She’s one of the few walkers that I work with. For some people, this might come easy. But for her it does not. 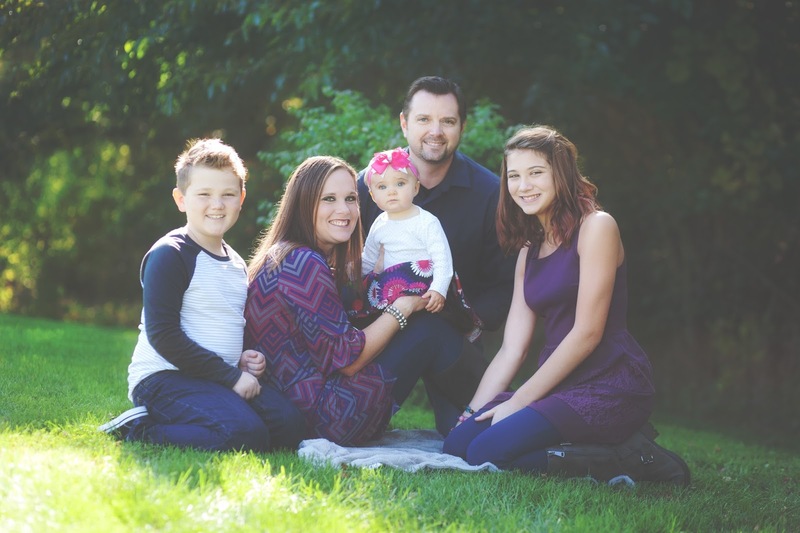 She totally lost sight of time for herself, while home-schooling three children and running her household. We came up with a plan together – to hold her accountable. She was going to develop healthy habits for herself. For her. Because, routine is everything, right? We would wake up by 4:30 am and I would pick her up at 5:00 just to get her to my studio treadmill at 5:15. She knew that I would be there waiting for her. And when all was said and done, she had her workout in and was home when her husband had to head off to work. We started off by walking at a slow pace and getting distracted by easy conversation. Each week she was tempted to run, but always felt that she wasn’t capable. By week four, I finally made her realize that she could do it – that SHE could do it. I wasn’t doing it for her. She was picking up the pace for herself. So, she ran for one minute. … Then she asked to do it again – and she asked to keep going. Ninety seconds passed and I could sense that something changed in her. She appeared different to me on the drive home. Confidence was back. She had transformed. The next week we ran for much of the duration of one entire song and tears were brought to both of our eyes. I knew that it was possible. She didn’t initially – but SHE was in there. Why wait until January 1 to be the best version of you??!! Jump-start your New Year's Resolutions with this short, five day accountability group. Each participant will aim to complete a minimum of 10,000 steps for each of the five days with their fitness tracker. Accountabilty group runs December 26-30, 2016. --> Are you ready to make those New Year's resolutions a true LIFESTYLE CHANGE this year? --> Do you need a little motivation to get your workouts in regularly? --> Would you like accountability to lose five to ten pounds after the holidays? Lose 5-10 lbs & move every day in January! • Private Facebook group for motivation • PARTICIPATE! Facebook group participants will be entered into a drawing for a FREE entry into the February accountability group! 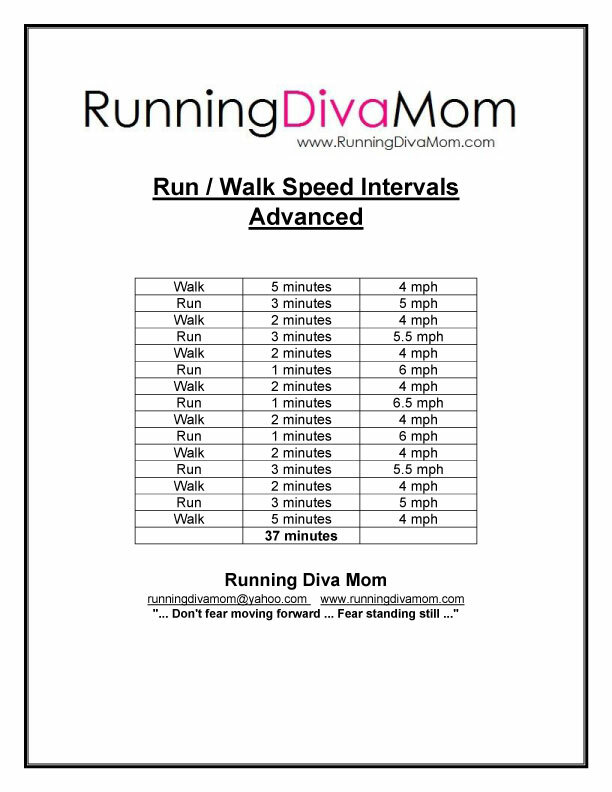 If you are already sick of the treadmill this winter, try mixing up your routine with these run/walk speed intervals. The introductory level starts with running at 4 MPH and the advanced option starts at 5 MPH. You will alternate 2-3 minutes of running with walking and peak at short one-minute intervals at your fastest speeds - ranging from 5 MPH to 6.5 MPH. You will then slow down your speed as you settle back into your starting pace. The next time you are BORED with your TREADMILL routine ... give these treadmill workouts a try. We used these programs at the running studio this morning and there was sweat flying all over the place! It was fun pushing my clients to new limits. I heard a lot of "Thank you! "s and "I needed that!" this morning while they were catching their breath. There are three negative splits workouts - introductory, advanced and very advanced. Pick one - and challenge yourself. 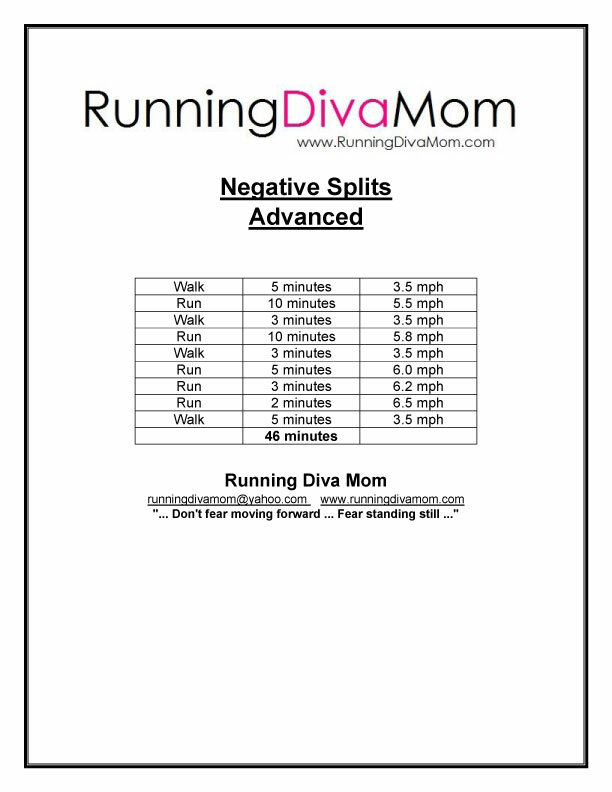 Join Running Diva Mom for a virtual training group - targeting the exciting Crazylegs Classic 8K (just under 5 miles). This ten week training program will consist of three progressive runs on your own each week and will begin February 19. Participants will receive a full training program filled with additional challenges and activities and access to our private Facebook group for accountability, support and motivation. Group will meet up at the race and be coached and supported by Running Diva Mom. The Crazylegs Classic 8K will take place in downtown Madison, Wisconsin on Sat, April 29. If you are interested in paying by cash or check, please contact me at runningdivamom@yahoo.com. 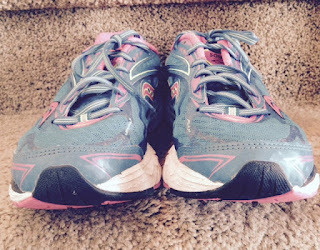 I recently opened my own running studio in Sun Prairie and really enjoying running with my clients indoors during these colder months now. 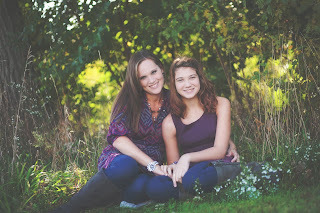 Most of my clients are women and other busy moms, just like me. It has been very rewarding, being able to continue our relationship and training during this time of year. I love helping my clients work towards their goals year-round now. Running side-by-side on a treadmill has been fun. But, it's been different all of us. No change of scenery, terrain or distractions. We have been doing a lot of speedwork and intervals lately. Some clients had never ran on a treadmill previously, so I have been giving them tips on getting acclimated with the machines, form and how to pace themselves a little differently indoors. 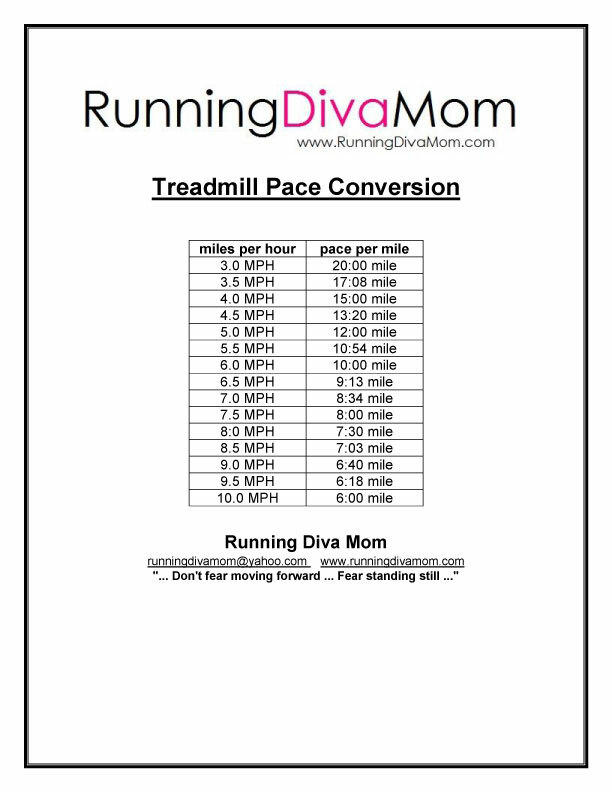 I developed this treadmill pace conversion chart to help keep my clients - and you - on pace for your running goals.